Home Unlabelled How will customization affect industrial procurement? How will customization affect industrial procurement? Whether or not customization will have a massive impact on a manufacturer's purchasing management practices depends on the enterprise's customers and how its marketing team advertises its products and services. A new era of procurement? For instance, a production company that takes personalization to the next level by allowing its website patrons to build upon bare-bones items and tailor specifications and attributes to their individual preferences will likely require a more versatile breed of procurement - one that aggregates data from point-of-sale systems, marketing automation software and industry studies. On the other hand, if a manufacturer simply advertises certain goods that are already being mass-produced to specific customers, then purchasing may not see as much of an impact. What it comes down to is aligning an organization with suppliers that can provide a diverse range of materials in an expedited manner. Of course, a supplier can only deliver goods so fast, and reducing lag time may involve establishing relationships with companies located close to production operations as well as tempering customer expectations. Why would manufacturers offer to customize items for their target audiences in the first place? Over the past few years, marketing departments have been leveraging personalization as a way to build stronger connections with their customers. Companies have a lot of consumer data at their disposal, and it doesn't just pertain to certain market segments. Information regarding specific individuals has enabled businesses to deliver ads and recommend products that are applicable to people's disparate interests. When email subject lines are written based on recipients' interests, they are 23 percent more likely to open the messages. Lead conversion rates grow 10 percent when personalized emails are used. Forty-five percent of respondents have been using personalized email campaigns for more than three years, while an additional 38 percent have been doing so between one and three years. Less than half (40 percent) of consumers purchase more goods from merchants who personalize shopping experiences across different channels. While customization and personalization are two different practices, they're closely related, as individuals presented with services tailored to them will want the same from products. Kevin O'Marah, chief content officer of SCM World, wrote a piece for IndustryWeek describing how this behavior will affect manufacturing. To start off, O'Marah asserted that the high-throughput, low-variability features of mass production will transform to become more agile, capable of responding to frequent, diverse customer demands without disrupting operations. While factory administration will need to evolve to fit this model, the facilities themselves will obviously have to undergo physical renovations. However, factories are already procuring technology that will allow them to support customization efforts. Advanced robotics, 3-D printing and sophisticated digital simulation will all contribute to establishing expedited production runs and unit-level customization. O'Marah noted one instance in which automotive companies employed robots that are able to conduct multiple tasks and work alongside human laborers. The result is a process that creates unique products at almost the same pace as high-speed repetitive production. 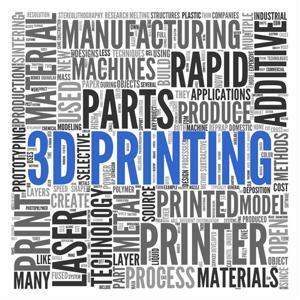 There's something to be said about the capabilities of 3-D printing - also known as additive manufacturing. Invisalign, a company that specializes in making exclusive dental molds for individuals who want to straighten their teeth, has an output of nearly 40 million unique items each year. Over the past four years, the cost of producing each unit has decreased 48 percent and production times have been cut in half thanks to 3-D printing. In regard to this development, it's clear that procurement officers will also have to focus on purchasing technology that will support agile manufacturing processes.